Endodontics is the branch of dentistry that deals with maintaining teeth by endodontic therapy, or procedures which involve the soft inner tissue of teeth, called the pulp, and various pulp pathologies (reversible pulpitis or not, necrosis) and periapical abscesses (desmodont alveolar chronic alveolar), acute alveolar abscesses (osteitis condensing). Endodontists are dentists who specialize in treatments for teeth when they are already necrotic or in risk of becoming so. They study root canal techniques and procedures and are also specifically trained to treat traumatic injuries to the soft tissues in the mouth. If you feel pain in a tooth or in a cavity which has already been treated previously, you should immediately consult a dentist specializing in endodontics. 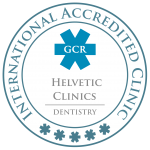 At Helvetic Clinics, our endodontists will determine whether a root canal treatment is necessary by initially assessing the state of the teeth with X-rays. It is vital to identify and cure an infection rapidly, without action additional treatment may be required like a dental implant or bridge. Root canal treatment begins with a thorough cleaning of the damaged areas of the tooth and is usually performed under local anaesthetic. 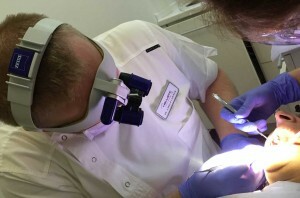 Once the endodontist reaches the pulp chamber, if required, additional anaesthetic solution is injected directly into the nerves of the tooth to eliminate pain, as a tooth when partially necrotic, generally remains very sensitive before the nerves have been removed. The endodontist then removes the infected tissue of the dental pulp (inner tooth) and any nerve tissue of the root, he then clears the site in preparation for the root canal filling. Once the tooth is properly prepared and its inner part has been carefully disinfected, the endodontist fills the root canal and seals the opening with a primary temporary filling. During a subsequent visit to our dental clinic, the endodontists will remove the temporary filling, replace it with a suitable base and will then cover the tooth, usually with a crown. After treatment, the tooth must be structurally sound and not be painful, as the nerves have been removed. Root canal treatment or decay may seem a trivial operation, but this is absolutely not the case. That is why our endodontists at Helvetic Clinics perform these operations under a dental microscope at a magnification of 8X. Unfortunately, our endodontists often treat patients who have previously undergone this type of treatment elsewhere with a non-specialised dentist and without the advantages of a dental microscope. 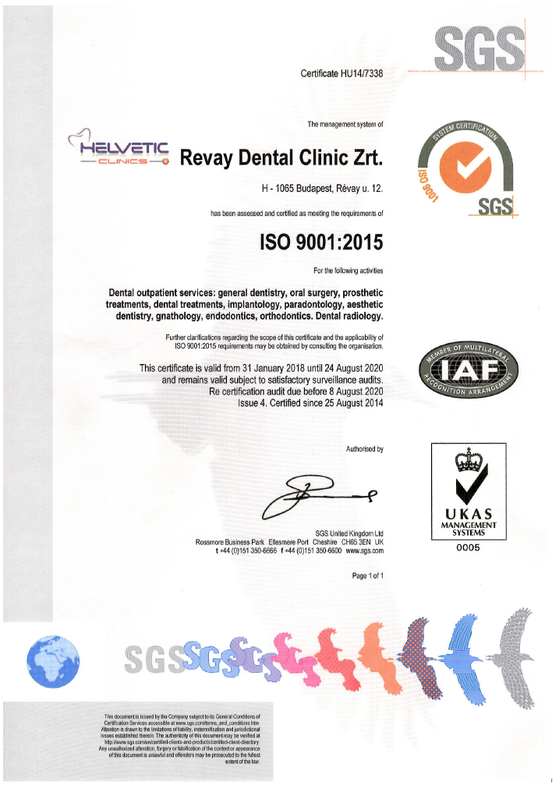 These patients come for treatment with us due to adversary effects of continued complications such as infections or inflammations in their teeth.